In 1983, Jim was honored by the American Film Institute alongside director John Huston. It may have been then that he became acquainted with Huston’s actor daughter Angelica. At the time, she was not that well known but her impressive looks and bearing might have stuck with Jim. 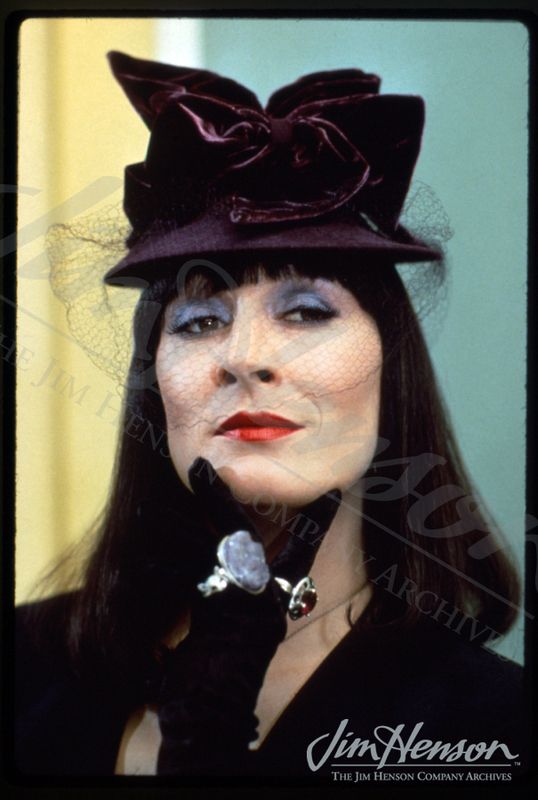 She did, of course, earn much adulation for her performances over the next few years, especially her Academy-award winning role in Prizzi’s Honor, so it’s no surprise that Jim cast her in the role of the Grand High Witch for his film, The Witches. Angelica Huston concealing her character’s true nature in The Witches, 1989. This entry was posted in 02-February '88, 1988, Social and tagged American Film Institute, Angelica Huston, Bel Air, John Huston. Bookmark the permalink.